It was not too early for a number of potential East Bay candidates to announce intentions to run next year, or, at least, begin to put out feelers. 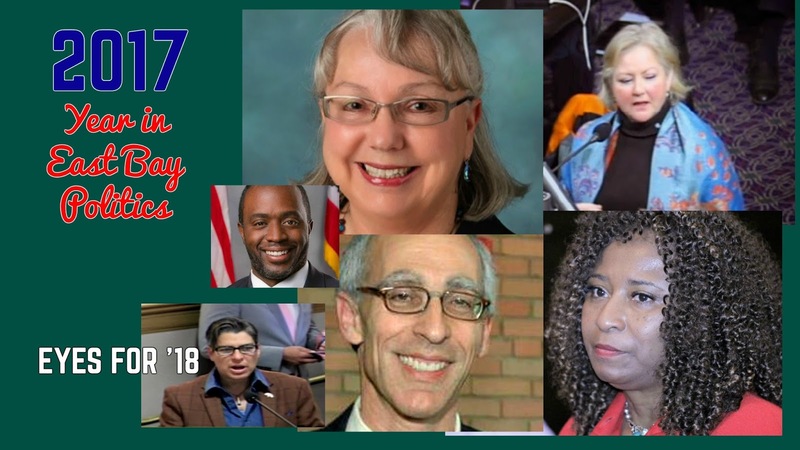 A number of statewide candidates from the region opened campaign accounts, including Richmond’s Gayle McLaughlin (Lt. gov), Assemblymember Tony Thurmond (state superintendent), and Delaine Eastin (governor). Nine people currently covet Thurmond’s 15th Assembly District seat next June. But the days of an overflowing primary ballot are over in the East Bay, with most moving elections to November. 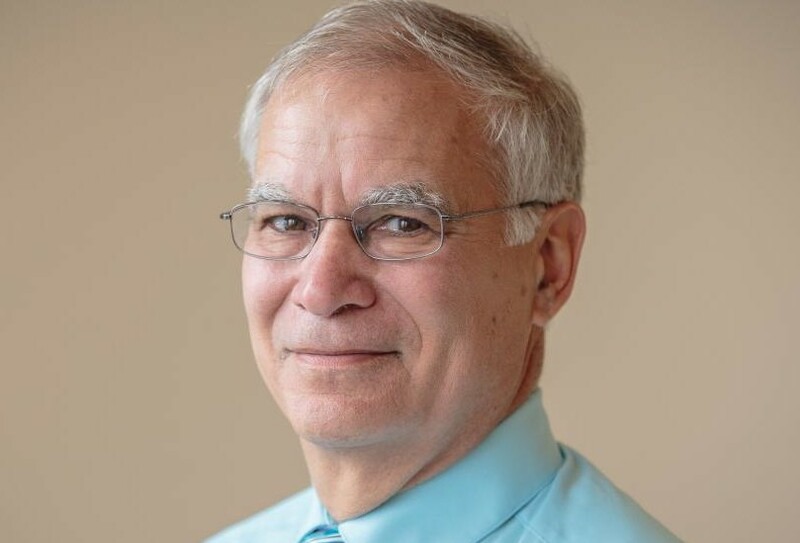 One of the last holdouts, Hayward, will make the move from June to November, giving the mayor and two councilmembers up for re-election an extra five months in office. But let’s start with the governor’s race where Eastin, who once represented the Fremont area in the state assembly and oversaw the state’s schools, is one of five major candidates–and the only woman–hoping to replace Gov. Jerry Brown. >>>>Former East Bay assemblymember and state superintendent of schools Delaine Eastin officially enters the race for California governor. ●Rep. Eric Swalwell receives five percent support in a mid-January poll for potential challengers to U.S. Sen. Dianne Feinstein’s re-election. There’s one small positive in the results, though. State Senate Pro Tem Kevin De Leon, who will enter the race later in the year, received four percent of the poll. ●Tony Thurmond, who represents the 15th Assembly District, says he’s running for higher office after announcing his candidacy in April for the open state superintendent of public instruction seat next year. ●Oakland Mayor Libby Schaaf wastes no time in announcing her bid for re-election in April. The announcement, though, sounds more like she’s running against Trump rather than the likely set of tomato cans she will ultimately face. >>>>A gigantic vacuum is created in the 15th Assembly District following Thurmond’s intention to run for statewide office. 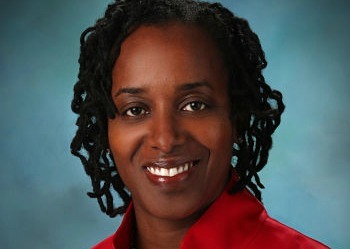 Richmond Councilmember Jovanka Beckles jumps into the race, followed by Oakland Councilmember Dan Kalb, and seven others. A frontrunner has yet to emerge. ●Progressive Richmond Councilmember Gayle McLaughlin, the so-called “Bernie Sanders of the East Bay,” announces a run for lieutenant governor. ●You can’t keep former Alameda Councilmember Tony Daysog down long after saying in June that he’ll be on the ballot in 2018 for a return to the council dais. ●In what will likely be one of the few high profile race on the East Bay June primary ballot, Oakland civil rights attorney Pamela Price announces she’s running against Alameda County District Attorney Nancy O’Malley. ●Upstart 15th Assembly District candidate Buffy Wicks gets the sprawling field’s attention after posting $209,000 in early campaign fundraising through the mid-year. She easily dwarfs the field. >>>>Alameda Councilmember Frank Matarrese states in an email to local activists that he’s likely to run for mayor next year, however, he adds, “Don’t know if I can win.” Rumors of Sandre Swanson eyeing the same job are true, but he later turns down a run. 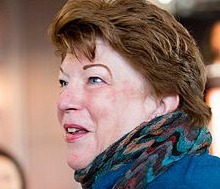 By years end, it’s apparent that Councilmember Marilyn Ezzy Ashcraft is running for mayor, too. ●The Great Alameda Landlord-Renters War of 2016 is likely to resume in 2018 after the City Council approves a landlord-backed ballot measure petition for the ballot sometime next year that seeks to enshrine the original rent stabilization ordinance in the City Charter, a version that does not include just cause restrictions on evictions. ●There’s going to be a rematch for Hayward mayor after Councilmember Mark Salinas announces he will challenge Mayor Barbara Halliday. Salinas came up short during the initial campaign in 2014, finishing a strong second. ●With a successful affordable housing bond in the rearview mirror, Alameda County Supervisor Wilma Chan raises the possibility of a countywide bond measure next year to help combat rampant homelessness. Posted in 2017 Year in East Bay Politics, AD15, Dan Kalb, Eric Swalwell, Frank Matarrese, Gayle McLaughlin, Jerry Brown, Jovanka Beckles, Mark Salinas, Nancy O'Malley, Pamela Price, Tony Thurmond, Wilma Chan. Bookmark the permalink. Time to replace any incumbent running for office in Hayward. The mayor and city city council members have never been able to balance the budget and the city has run in the red, ever since and before Barbara Halliday has been on the council. All the council does is raise the taxes to pay for their over spending. Time to replace all of them, especially the mayor. We need to find someone who can count. The public should not be taxed to death for an incumbent city council.Salinas is not the answer either to take over being mayor. Look at the city's crime rate, horrible loop and millions more to correct it. homelessness and feces on the streets, 5 G cell towers in front of our homes, greedy union members with unfunded pension benefits, sidewalks not repaired, failing schools, illegal fireworks year round, immigrants not assimilating and learning English and the laws of the city. (no burning fireplaces on spare the air day) I don't want to be taxed any more for this corrupt city council's values. Drain the swamp in Hayward council chambers and get people who can run the city without going into dept. Never give jumbo loans to the city manager, out of the general funds of the city.She can get a loan through the banks, like the rest of us. Don't we have leaders in this city to set up to the plate? To Frank Matarrese and Trish Spencer: To state what is obvious or at least very likely, if there is a three way race – FM, TS and Ashcraft, and especially if Ashcraft gets the big money from the unions and developers who seek favor$ from the City – the presence of both FM and TS gifts the election to Ashcraft. Think about it. And think how much better off we would be had Jill Stein not run and shaved off crucial votes in the upper midwest.